In the past I have written on my history of experiences with what many refer to as alien abduction. Those who read about such subject matters may know how unpleasant and life-altering these experiences can be. Moreover, when these abductions span the course of a lifetime and contribute to numerous physical health issues, they take on a whole new dynamic entirely. Over the past few weeks, I have had numerous synchronistic experiences which gradually convinced me that it was time to write on this topic once again. Among these synchronistic occurrences, was the repetition of the idea that there may have been much more to my abduction ordeals than just unpleasant medical procedures performed by Greys. I would learn that there was a complexity of cooperate politics behind these experiences which I had not initially known. It is never easy to write on these subjects. This is not only due to the level of personal vulnerability they require, but to the various experiences I commonly have as a result. These are particularly unpleasant in nature and take a good while to recover from. However, the enormous amount of growth that these writings seem to provide goes far beyond any negative repercussion that might result. There have been numerous reliable sources which have simultaneously covered this topic of abduction which have shed new light on the true nature of this phenomenon. Consequently, I chose to evaluate my own experiences in terms of new whistleblower testimony. As it turns out, there may be much more to these abductions than even I was aware of. Many will know my story of past abduction experiences and how for the majority of my life, my body and mind were not completely my own. I would wake up in states of extreme panic for no apparent reason. Sometimes strange pains and spots of blood would appear on my skin over night with no explanation. Some mornings I would wake to realize that my back was hurting. I would then look into the mirror to realize that my pain was accompanied by small pin-sized scars near the center of my back. The most telling of my experiences was waking up at night to realize that I was being carried out of my room by 6 to 8 Greys. These experiences would leave many scars, most of which were completely unseen. Yet despite the trauma that I faced for the majority of my life, I found these experiences to be a collective catalyst for accelerated awakening and expansion of my conscious awareness. After I had come to terms with these nighttime occurrences, I would realize that all of the stories I had heard over the years on television and in movies about abduction were based on true events. I would later learn that there was much more to my ordeal than any Hollywood production could depict. In both past and recent episodes of the Comic Disclosure series on the Gaia.com network, the subject of MILAB, or military abduction program was addressed. This was a program which selected children at young ages to be groomed for different purposes, whether for use in military operations, or for simple human experimentation purposes. These abductions were carried out in various ways and took on a number of characteristics. Overall, these programs would turn out to be much more harmful than they were helpful in the lives of any of the children they affected. In the early to mid-2015, the online world would be greeted with the ground-shaking revelations of Corey Goode who was the first of several credible whistleblowers to come forward with information on their experiences in special access programs both in space and here on Earth. These programs would deal with matters ranging from classified science, to communications with E.T. intelligence, and even creating advanced technology to be used in the operations of what is termed the Secret Space Program. CG : Okay. For me, it started at the age of six years old when I was brought into what is known as the MILAB, some pronounced it MILAB programs. I was identified as an intuitive empath. DW : What does that mean exactly ? CG : Intuitive, you have a deep intuition of things that are possibly about to happen. DW : So like psychic ability ? CG : Yeah, precognitive abilities. And empathic, being that you have a strong emotional connection with others around you. You can feel what they're feeling and connect with them emotionally. That was a skill-set that was desired. And I was trained, and that was enhanced. And it was enhanced to a point where I was around 12 or 13 years old, me and a few of the people that I was training with, being brought into a program to we were what they called IE support for the Earth delegation in a super federation. And this was a federation of a large amount of ET federations that met to discuss the grand experiment. DW : What was this experiment? What were these ETs doing? CG : There was a group of 40 human-looking ETs that were pretty much always present, and up to 60 at other times that were present. There were 22 genetic programs that were going on. DW : What does that mean ? What's a genetic program ? CG : Programs of them mixing their genetics and manipulating our genetics. DW : That was ongoing ? CG : Yes, it's ongoing right now. And this is what this was all about. And the earth delegates had been trying to become a part of this for a long time. And they were finally able to get a seat. And as the intuitive empaths, when we were sitting there, we didn't know what was going on. Because a lot of what was going on was happening in this ancient ET language that's real monotone that we didn't understand. And some of what was going on was going on telepathically. So we were just sitting there, and we were given this device that was a glass smart pad – that's kind of like an iPad - that had access to the ET, basically, database. And we were told to keep our minds occupied by looking through all this material, and this also helped us with our intuitive empath abilities in detecting danger or deception. DW : What kind of stuff were you able to look at on these pads ? CG : It was, mainly they wanted us looking at the information about these 22 genetic experiments that were going on, but we had access to all types of other information. And depending on, each of us - we all had own interests - we would look at all kinds of information. And there's so much information that I looked at, it's almost like looking back at your college days, all the books that you read and all the information you looked at. How much of it do you retain? You know, like that? There was just so much information. The various disclosures on Gaia.com were among the numerous sources which convinced me that there was much more to learn on the topic of abduction. They would teach me that to a large extent, someone or some group was planning these events which have created numerous challenges in my life. I would realize that among many people, my DNA (and possibly many other aspects of my being) was somehow interesting enough to study (not that I consider that interest a blessing, by any means). According to Goode's experiences, these various E.T. groups often consider it a positive venture to conduct these various experiments among themselves as well as with the Earth population for this Grand Experiment. To my knowledge, this experiment consists of attempting to merge human genetics with the genetics of these other E.T. groups in order to reap the benefits of both species. These experiments may seem benevolent to some of the E.T. groups who participate. However, to the human test subjects, these experiences can be extremely traumatizing. The Cosmic Disclosure series spoke on this matter of experimentation on a number of occasions. In one episode, Corey Goode discusses one of the key differences between Earth humans and many ET races. DW : You said that 40 different - there’s 22 different genetic programs going on. And so we have all this DNA from other intelligent civilizations. What happens with all that mix and match of DNA in us as we go through tis change? CG : Well what has occurred from this big hodgepodge in mix is that we have a spectrum, a wider spectrum of emotions than most beings out there. They have the same emotions we do, but because of all the tinkering that’s happened with our light bodies and our genetics, it’s not just genetics. We have a wide spectrum of emotions, which is a blessing and a curse, because I mean, right now we can control those emotions. And it’s affecting - and our consciousness level is not controlled, so we got a mess right now. DW : So if someone has a judgmental look on their face and looks at us like, [SCOFFS]. Because of this genetic mix and this spectrum of emotions you’re talking about, does that mean that we are going to actually have a stronger emotional reaction than other intelligent civilizations normally would? CG : Yeah, we have a stronger emotional reaction to just about everything than other societies do, because of our makeup. DW : It seems like that could be a tremendous weakness. CG : It’s also a great thing once we learn how to control our consciousness, because emotions are like an activator in our consciousness. They work hand in hand, and that’s what helps activate our consciousness. And we can become very powerful co-creative beings and create a wonderful new world once we learn how to - once we’re not being manipulated, and once we learn how to manage our emotions and our consciousness. According to Goode's testimony, the human experience of emotion is somewhat unique among those in the off-world community. Both the range of emotions and the intensity of those emotions can be much more extreme for us as Earth humans than for various other E.T.s. If we can imagine a series of abductions taking place in an individual's life, it may be that the beings behind them do not know the emotional trauma they are causing as they repeatedly sever people from their normal lives. The E.T. groups who participate in the various genetic experiments may range in motives and procedures for achieving their ultimate goals. Some of these groups seem more considerate than others with regard to minimizing the impact of their test on their subjects. However, there is one particular group that seems to throw out consideration altogether and uses people in whatever way they see fit. 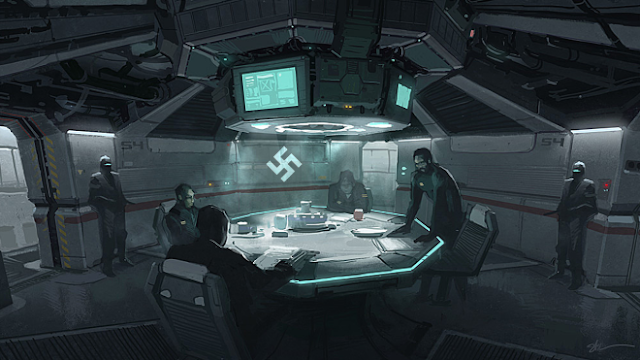 This group is one which is run primarily be humans and originates from the Nazi breakaway group known as the Dark Fleet. 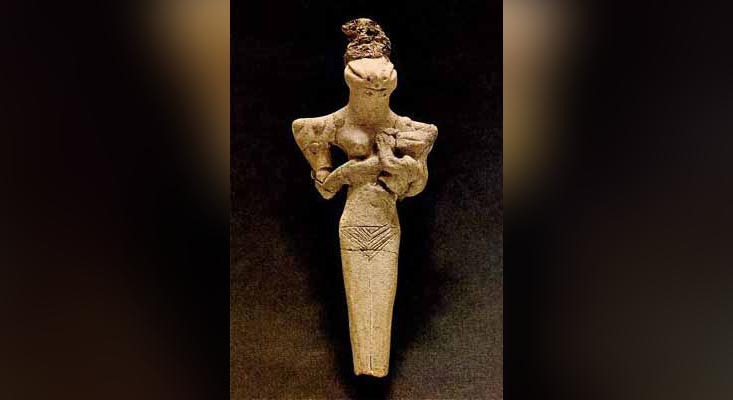 The specific moon base discussed in the recent episode of Cosmic Disclosure was said to be owned and operated by a race of Draco humanoids that had a long history of interacting with the surface population. These beings have been found to be very self-advantageous in their dealings with various Earth groups, but were found by some to be helpful at achieving their own goals of conquest. The Nazi's were reported to be some of the first to interact with this race in more recent history. The Draco would help the Nazis achieve their goals of military superiority and venturing outside the Earth's atmosphere to explore the solar system. It would be found that these Draco, in helping the Nazis to achieve their goals, had their own goals of taking over other planets in star systems adjacent to our own solar system. The influence of these Draco within our solar system would be significant. According to reports, these beings are known for being very manipulative and self-interested. Though they may be polite and generous upon greeting, their goals of conquest typically shine through. These beings commonly assume a positive veneer and will help a developing group to advance in various ways. However, they tend to only interact with those who are conquest-minded themselves. According to reports, it is these beings who have orchestrated the societal control system of our current world, and who keep the cabal of monetary and governmental powers on a specific course of self advantage. (I'm having dejavu while writing this as well.) There is, however, more to the story. Along with their manipulation of conquest-minded groups on the surface, the Draco employ the use of PLFs, or programmable life forms. 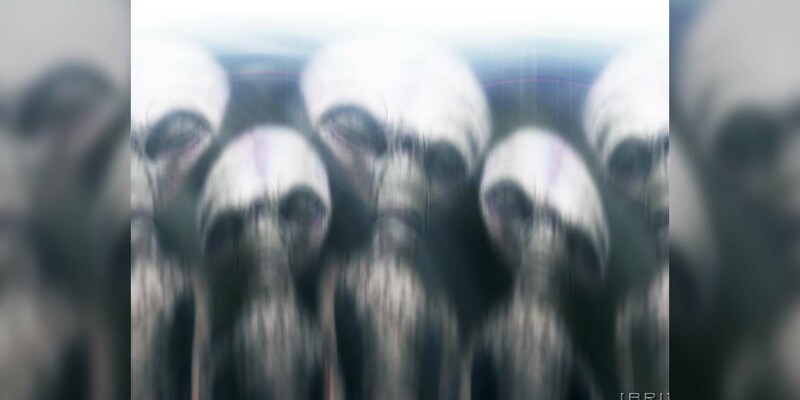 These being are the typical Greys many abductees have reported seeing from their abduction experiences. I myself have seen both tall and shorter Greys before, during, and after any experience. These programmable lifeforms are not completely alive and not completely mechanized, but are cyborgs which employ the advantages of biological systems as well as the programmability of technology. From personal experience, it is the overall lack of emotion and lack of empathy in these beings that can be the most disturbing. The Draco Reptilians use these programmable Greys to perform medical procedures on human test subjects. As I understand it, it is the Draco that are in charge, but it is the humans who perform many of the labor and the abductions, and the Grey PLF's that perform the intricate medical procedure. However, even though the Reptilians are in charge of the operation, it is not actually they who are controlling the situation. These Reptilians are actually subject to another intelligence as well. In multiple episodes of the Cosmic Disclosure series, the subject of A.I. nanotechnology was discussed. 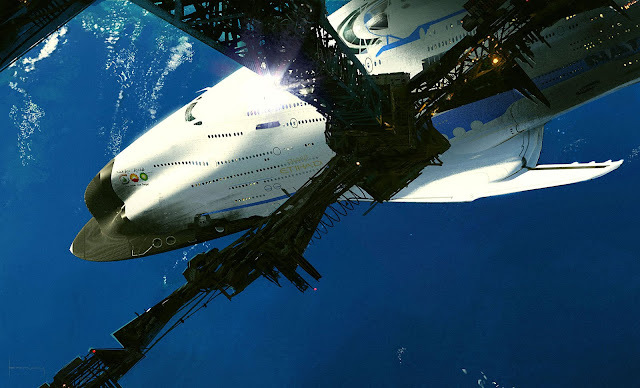 This artificial intelligence is said to be a large concern within the Secret Space Program and is considered a major security issue within the various programs. As it was described, this A.I. is a pervasive intelligence that seeks the highest form of technology and influence in order to conquer as large a territory as possible. According to Corey Goode and SSP intel, this A.I. issue has caused a large problem within our galaxy for ages now. We would actually hear from Goode that it is A.I. that are controlling the Draco, and using them to expand the power and influence of the A.I. So the situation is complex. The A.I. control the Draco, the Draco control the Grey PLFs. The Draco partially manipulate the human and military aspect as well, but these are humans who are especially conquest-oriented themselves. 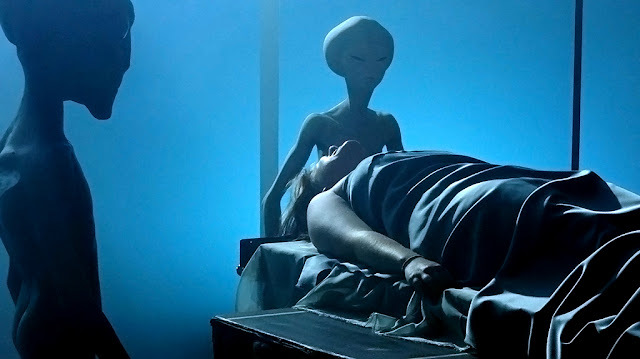 So as we can see, the subject of alien abduction is quite complex when we get to the details. 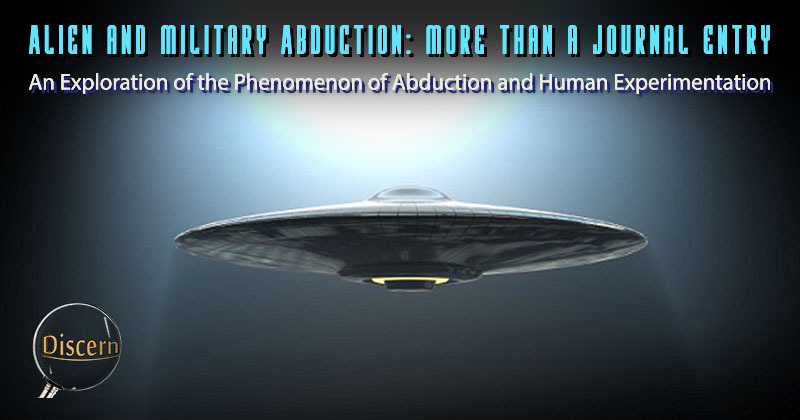 Though we may see evidence to the possibility that the abduction phenomenon dates back for centuries if not longer, the modern version of military abduction may have had a central cause. This phenomenon is said to have taken on a new character when the powers that be decided to offer up the common population as collateral in exchange for the technology of a certain E.T. group. Among many possibilities, there is reported to be one specific treaty that was signed as a means of giving permission by Earth governments for various E.T. groups to conduct these experiments. This treaty was referred to as the “TAU IX Treaty.” Here is an excerpt from the website, Humansarefree.com with the details. Cooper differentiates two alien races, the Nordic ones, friendly towards humanity and the Greys, who had different plans. According to him, the Nordics helped negotiate the signing of a non-aggression treaty between humanity and the Greys. The Nordics did not offer technology but rather the chance for spiritual advancement. The treaty stipulated that the aliens would not interfere in our affairs and neither would we interfere in theirs. Their presence on Earth would be kept a secret. They could regularly abduct humans for medical and development purposes as long as they would not harm them. The humans would then be returned to their abduction point, with no memory of the event. Their demands were that humans dismantle and destroy its nuclear weapons arsenal. They warned humanity about its path of self destruction and condemned the fact that we were killing each other, polluting the planet and wasting Earth’s natural resources. The committee met their demands with extreme suspicion and prejudice, believing that nuclear disarming was not in the best interest of the United States and that it would leave the world helpless in the face of an alien threat. Eisenhower rejected their proposition. Another witness to the meetings was John Lear, the son of the creator of the Lear Jet, William Lear. According to him, the Nordics offered their help in eliminating the Greys’ threat but President Eisenhower turned it down because they offered no technology. Did this meeting really take place? If so, it would appear to confirm the current world-wide UFO phenomenon. However, more than 60 years have passed since the alleged First Contact, and an official disclosure is nowhere in sight. According to some sources, this is the initial situation which has lead to the current cooperative interaction with at least one species of E.T. The records do not seem to indicate a specific species when referring to these Greys. However, it is my suspicion that these Greys were negative and possibly even artificial in origin. In the Law of One text, the subject of interaction between civilizations is mentioned with one particular standard included. This is the requirement that any interaction—particularly between a civilization which is more highly advanced than the other—must be balanced. This means that when a meeting takes place, there must be an equal opportunity between positive and negative interactions. More specifically, the opportunities for self service and for service to others must be equally available. 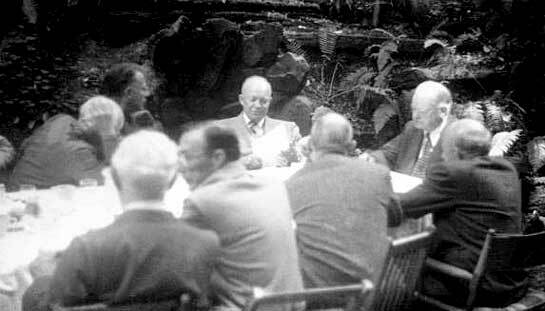 During this meeting, it seems apparent that the Nordic E.T.s were intent on providing the most long-lasting benefit for the Earth. According to this report, the offer was rejected as those in control did not want to give up their power to attack and destroy others. If the Law of One text was accurate with regard to interaction of advanced civilizations, this would mean that the Greys were the negative influence, and made an offer more selfish and manipulative than that of the Nordics. Considering the fact of countless stories of abduction, I consider it very likely that such an offer was actually accepted. Though these specific beings were reported to simply be “Greys,” I consider the possibility that they were artificial in nature and may have actually been of those who worked for the Nazis. This would explain why experiences with such beings are reported to be so traumatic. This may have been the free-will agreement which initiated the modern-day experimentation program. The universe is a place of polarity and of balance, and any opportunity for interaction must be equal in order for the greatest amount of choice to be present. This would mean that if anyone wants a choice of something pleasurable and beneficial, there must also be a choice of pain and displeasure as its opposite. To add, if a soul has karma to resolve, these negative experiences may come to them in various forms as soul-level exercises for resolving their karma. This may be the cause of some of the abduction experiences many report having. The subject of MILAB abductions can be extremely extensive. For those not yet familiar with these experiences, it may help to approach the subject from a firsthand vantage point. Dr. Michael Salla—founder of the popular website, Exopolitics.org—recently published an article on the abduction experiences of Niara Terela Isley. Isley is a former airman in the United States Air Force who was on duty when she was first abducted. She reports encountering a UFO and attempting to gain a radar lock for the sake of tracking the object. After first encountering this UFO, she blacked out. Niara would experience extended blank spots in her memory which would cause her to seek the help of a hypnotherapist. It is from her account as well as numerous others which reveal a great deal about the inner workings of these abduction experiences. Here is Dr. Salla, and Exopolotics. 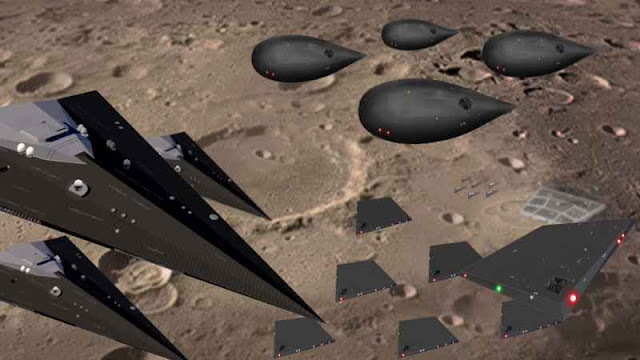 Secret space program whistleblower, Corey Goode revealed an astonishing fact about a secret base on the far side of the moon in his response to email questions published on May 20. 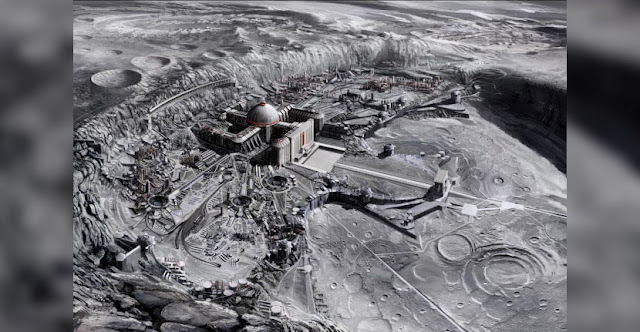 He described the moon base as belonging to one of five secret space programs that he has earlier disclosed in email responses and public internet forums as the “Dark Fleet” which exploits humans in various ways. Since his email response a witness has emerged who claims to have traveled to the base in question and only partly recalls what happened inside. A second witness, identified in this article, has also traveled to a secret moon base, very likely the same Dark Fleet base, but fully recalls what happened. I wish that I could say that Niara Isley's experience was completely foreign to me. However, the memories that I have managed to piece together over the years have lead me to believe that many of the ordeals that she faced have been all too familiar to me. Though I cannot say that I can relate entirely. The nature of my own abductions have lead me to believe that humans were behind many of them. Though I cannot remember seeing any, I do remember seeing Greys staring at me for extended periods. There were even times when I was dropped back in my bed, and happened to move just right to see that they hadn't exactly left. There was one instance when, for some odd reason, one Grey decided to stand there and stare at me for an extended period of time. This particular experience left a few scars which I had to heal. I have since healed from most of these. However, at the time, it was as though I was living a horror movie that never ended. Later, I would be allowed to remain awake during my experiences. I would recall being walked down a hallway and seeing Greys passing by. However, the experience was accompanied by an altered state of consciousness. I would guess this was some sort of psychic anesthetic which kept me under strict control while I was away from my life. Many of the Greys I would see in passing would actually have human faces superimposed over their larger heads which just looked awkward. These experiences represented the tamer side of my ordeal. There are things which happened to me that are far less pleasant than these. It is because of accounts such as those of Ms. Isley that I have avoided hypnotherapy. To be honest, when I first started writing this article, I was exceptionally hesitant to search this subject out at all. The greatest concern was that I would be unable to maintain my positive focus should I learn the detailed ways in which my life was violated as a child. However, as I look back at the situation, I have only the desire to move forward and to learn all I need to in order to do so. There is no longer the need to hide from the truth, especially when that truth has already past. One detail that I recently learned was that the illness that I am presently dealing with is not the result of happenstance. I learned that the health issues I face were specifically given to me. In fact, these or similar health issues are deliberately given to many abductees for the purpose of killing them off before they have a chance to speak out and reveal all that has been done to them. This is a method I have been intuitively aware of for some time, and have been getting multiple confirmations on this matter as well. As I write this, it is 1:00 a.m., and I am hearing noises through my apartment that should not be there. Everything around me and the apartments around is completely silent. There are just these noises from my kitchen, and I live alone. There are no mice or large insects capable of making noises like this. According to the testimony of multiple insiders, the experiences of most negatively oriented abduction are largely caused by human parties. As stated, these people are the descendants of the original Nazi breakaway civilization, and operate from one particular base located on the moon (along with various other bases in the solar system). These groups tend to initiate multiple types of exploitative programs which use Earth humans as test subjects, for slave labor, or other purposes. Earlier this year, the insider Corey Goode reported a particularly unpleasant abduction experience which he had. This act was carried out by operatives of what has been referred to as the Lower-Level Secret Space Program, and was conducted in order to interrogate Goode in a number of ways. Corey recounts this experience in an interview with Dr. Michael Salla. Here is an excerpt from that interview. Upon hearing that these abductions are taking place, one might wonder why such things are allowed to happen. We may think that this would not be allowed, as it violates free will. However, there is a certain dynamic to this situation that we must take into account before drawing such a conclusion. It may be true that the majority of E.T.s we encounter have a greater understanding and respect for free will than any of us here on the Earth's surface. However, considering the likelihood that many of these abductions are initiated by human Nazis and Grey PLFs, this makes these negative experiences quite possible. To add, many of the other groups that conduct these experiments consider their work very benevolent (to restate), and believe they are doing a great service to themselves and others. However, there are a few groups who do not take as much care in how they treat their test subjects. The breakaway Nazi group is definitely among the careless. There is one specific point which Dr. Salla makes mention of. That is the point that the Blue Avians told Goode that his traumatic experiences with these military personnel had a higher purpose behind them. It did not sound as though Goode was told exactly what this purpose was, but I think this introduces an important component to the phenomenon of other abduction experiences. We cannot say exactly why we suffer the way we do in life. We hear of concepts such a karma and free will, and may believe that on some level, we deserve the pain we endure. However, there is much more to our experiences than these simple principles. There is an overall component of choice to anything we experience, whether pleasant or painful. Those of us who experience abduction or any other type of potentially traumatic experience may be receiving that which we—on some level—requested to experience. There may be a higher reason for our learning, our awakening, our experience and development as souls. As we experience these events, we learn there is more to the universe than just ourselves (our physical form). We learn there is more to life than that which we are used to, but most of all, we learn to stand up for ourselves as sovereign souls and to demand respect for our right to exist in freedom. There are countless benefits to experiencing temporary suffering in life, though I have no intention of allowing such suffering to continue once I become aware of it. 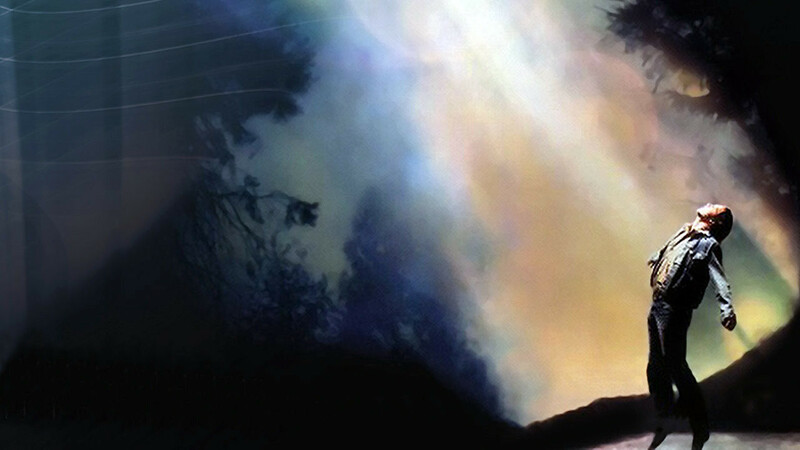 My abduction experiences along with the revelations which followed have given me more opportunities at growth and energetic advancement than I ever imagined possible. I honestly don't know if I would have been able to grow so quickly during this time if I had not gone through this lifelong ordeal. So when I hear the stories of Niala Tereal Isley, I can understand her sentiment and her positive outlook. There is a lot that I have experienced in life. I have been to places I cannot name, seen beings that would not show their true form, and done things I don't quite understand. For the sake of newness and for openness of testimony, I would like to share a particular experience of mine—one I have never written about before. This happened to me earlier on during my awakening, when I first learned of my nighttime experience with abduction. There was one night that would stick with me. I don't know how long I was gone, but it was long enough to complete a number of exercises. I used to believe that these abductions happened only once per night, and that each time people are taken, they are only away for one night. However, after hearing testimony from a number of whistleblowers of how time travel is sometimes employed, I'm not sure how long I might have been gone. I will simply discuss what I remember. 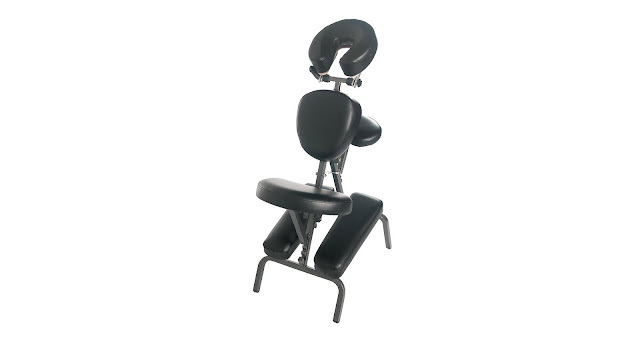 The first memory I have involved my being seated in what looked like an upright massage chair. 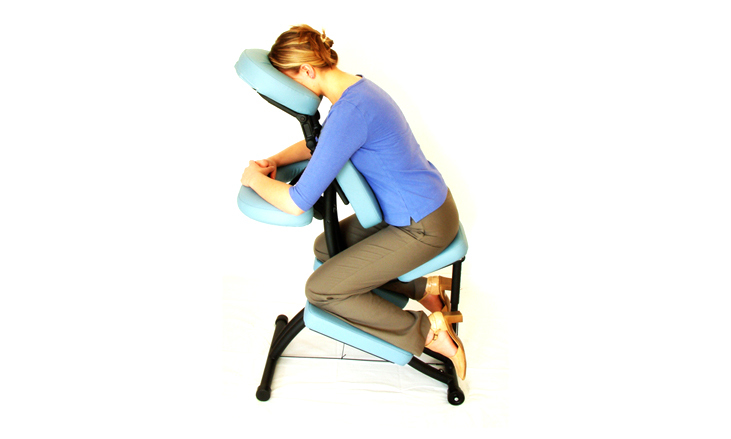 This would be like a massage chair you would see in a massage therapy center, where the subject is bent forward and their head is looking downward in front of them. I was sitting in this position with my head fastened in place. My arms may have been fastened so that they were out of the way. I can't remember seeing the chair I was in before I was sitting in it, but this may have been close to the design of that chair. The head piece was wider and had more room for me to see through and perform the exercise. This was the general position of the seat I was in. I don't think my arms were in front of me like this image depicts. There were quite a few people around me in the same position in chairs that may have been similar to my own. The most interesting part was the activity we were performing. I can't say what exactly everyone else was doing because I couldn't move my head much, but in front of me there was something that looked like one of those old, enclosed maze games with the metal balls inside. 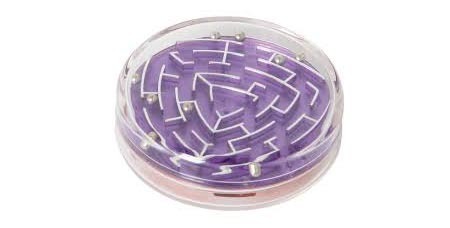 The objective of this exercise was to get all of the balls into the holes, or at least to move them around the maze. The catch was that I couldn't use my hands. This was an exercise in psychokinesis. As I sat there and performed this exercise of moving these metal balls around, it was as though I had been doing this for a long time. It was easy, as though I could expect myself to do this any other day. I was doing so well that I would expect someone around me to notice, but there was no one in sight (at least no one who was freely walking). This game was strange, yet extremely interesting to me. The actual device in front of me was much larger than this handheld game. It was closer to the size of a large pizza box or possibly bigger. I cannot remember what shape it was, but I don't think it was circular. The metal balls inside were the size of large playing marbles, and there were multiple balls that I was supposed to move through the maze. There was another scene to this experience. There was a large window which led out into a grassy area outdoors. This may have been a hallway with windows on at least one side of it. As I looked out, I could see that it was nighttime. There was a grassy hill near this window, and as I looked at it, there was a flock of geese that were walking as a group over this hill. Later on, however, I would realize that these were not geese at all. In my experience, I have found that Greys have realized that their appearance can be very frightening. Over time, if a person experiences extreme pain, discomfort, and unfamiliarity, they can develop an association with the common images around them in their painful and unfamiliar state. Over time, this turns into fear and extreme aversion. This may be the reason why Greys conceal their appearance and create screen memories in place of their true form. So there were these geese and the exercise in the chair. These were the only situations I remember from this experience. The experience was so vivid that when I woke up in my bed, I knew with certainty that it had not been a dream. My heartbeat was accelerated like usual, my retinas were fatigued from having bright lights shown into them along with the silhouettes of multiple Greys. I was so certain that I still had psychokinetic ability that I got up, turned my light on, and picked up a tennis ball to see if I still had it. As I looked intensely at this ball, I decided what I wanted to do, and when I was ready, I made the effort to move this ball just like I had the others—nothing. Keep in mind, these memories are disjointed and seem to have been erased for the most part to prevent me from remembering much more. I have no proof to show that these events actually took place. However, I have received numerous confirmations in various forms that tell me that this may have been another type of test done on different subjects. 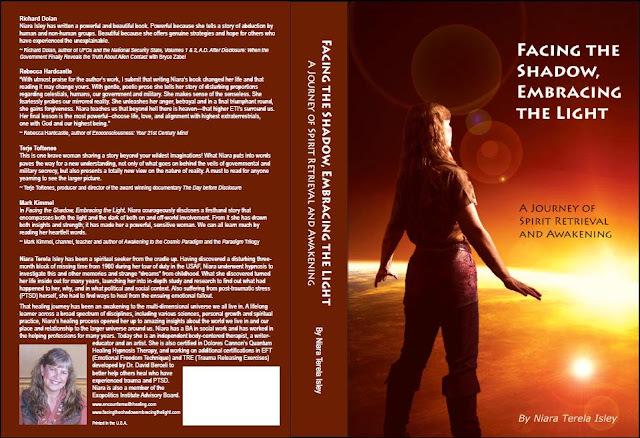 This entire ordeal with abduction has been a key motivating factor for me in assisting in the liberation of the planet. There are many other factors, of course. However, this one has helped me remember that I'm not here simply to have fun. There are thousands—possibly even millions—of people who have suffered and died having never understood what happened to them or how their lives were being violated, and I intend to put a permanent stop to it. We have all be victimized in one way or another by cold, heartless, and careless greed harbored by those who have deliberately detached themselves from the rest of humanity. I cannot say much for the choices of these victimizers, but I can't predict that their crimes against humanity and the planet will end very soon. I send you total Love and support in the form of Divine Grace...I myself do not believe that it is due to Karma that such things happen...they are due to a world that has become hugely imbalanced, and needs to Shift Into much greater Love. In my own experiences, what helped was for me to invoke Divine Love in the form of a protective presence - the Archangels, a Master Guide etc; and, to ask for physical protection from the Star family one is aligned to - they need our request to act. In this asking, it is difficult for one so violated to have Trust in such processes...if you can decide, that you are absolutely intent on this change in your circumstances, and that you demand this aid, in order for you to fulfill the journey you came to Earth to Create in your Love, when you are Healed and able again, to do so. Love is Truly unconditional...yet, to remain on Earth means there is a journey to be done - it is NOT! The one you are currently within, in such circumstances. By standing in this Truth, it is moved into the patterning that allows for Healing to happen for you.